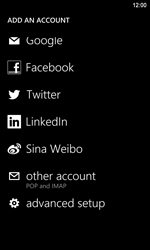 Under Account typ, choose POP3. 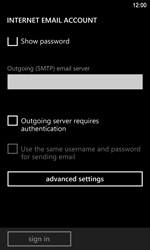 Choose Outgoing server requires authentication, and untick this option. 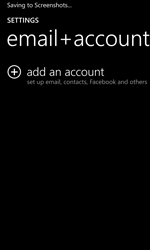 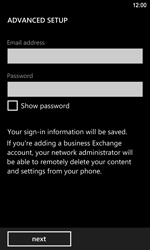 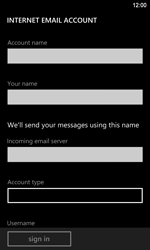 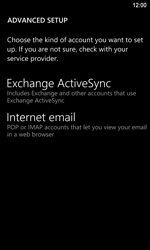 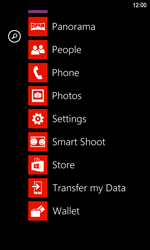 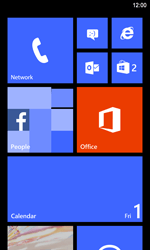 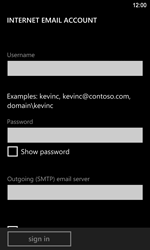 Switch your Nokia Lumia 920 LTE off and then on again to activate the settings.